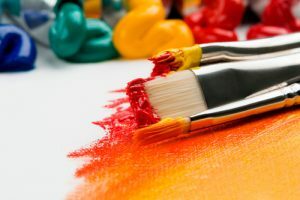 Expressive arts combine psychology and the creative process to promote emotional growth and healing. Perfect for communicating tough feelings and difficult thoughts, we encourage your teen or child to use their creative power to explore their inner and outer worlds. Read more about our summer programs below! Struggle to cope when times get tough? Have a hard time solving problems? Overthink and overanalyze small things? All the skills in only TWO days! Join our two-day intensive self-care expressive arts program for teens. Thursday, July 11: We'll explore what self-care is and its importance for wellness. Your teen will come home with self-made bath bombs and body butter. Thursday, July 15: Your teen will explore self-care while creating lip scrubs, sugar scrubs, and foot soaks. *Please alert us of any allergens. Teens must bring their own containers for products. All other materials and ingredients will be supplied. All the skills in only THREE days! Join our three-day intensive expressive arts program for ages 7 through 17. Three day sessions for teens struggling with anxiety and/or depression utilizing expressive art therapy and animal assisted therapy. Sign up for one session or all three! Your teen will learn various techniques to assist in enabling them to move forward through anxiety in a creative and unique way! “Building your toolbox” techniques in grounding and containment. Teaching our kids in a group setting to “bring our brains back” and how to manage/organize/and what to do with all of our thoughts. “Adding to your toolbox” techniques in developing and utilizing individualized coping mechanisms that are tailored to each individual in attempts to set our kids up for success using them. School is starting and we know that brings anxieties that lay dormant over the summer and awakens potential new challenges. Let’s work together to share and develop some techniques to make it the best school year yet!